WASHINGTON ― Unable to reach consensus on a GOP-only bill, Republican immigration proponents in theU.S. House of Representativesare getting close to forcing votes on legislation to protect immigrants brought to the United States when they were children. GOP leaders continue to express optimism that they can come up with a bill addressing PresidentDonald Trump’s four pillars on immigration: border security, renewing the Deferred Action on Childhood Arrivals (DACA) immigration program, eliminating the diversity visa lottery program, and curbing family-based immigration. 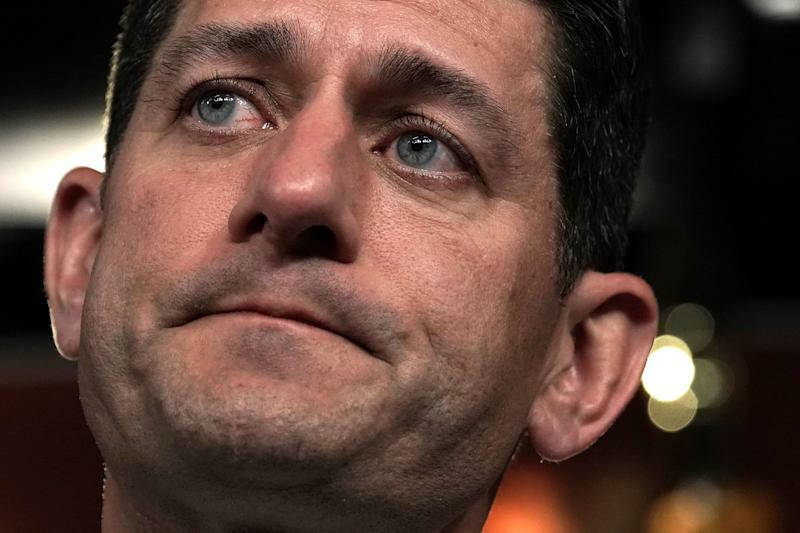 “I feel good about the kind of conversations that we’re having,” House SpeakerPaul Ryan(R-Wis.) told reporters Wednesday morning, adding that he thought there was a “sweet spot” for Republicans on immigration. But throughout multiple meetings Wednesday that leaders described in vague terms like “productive,” the sweet spot seemed to elude lawmakers. “I don’t think there will be a deal today,” Freedom Caucus Chairman Mark Meadows (R-N.C.) told reporters Wednesday. He said there were a number of issues Republicans still hadn’t reached consensus on, like a question of whether there would be a special pathway to citizenship for DACA recipients ― or something akin to citizenship, like permanent legal status ― and he didn’t see Republicans coalescing behind a bill before enough members signed onto a discharge petition that is currently just three members short of forcing a vote. When 218 lawmakers sign a discharge petition, they can force a vote on a bill ― or, in this case, a number of bills ― on the second or fourth Monday of a month. “A special pathway is almost as bad as the ‘amnesty’ word, and so we’re looking at ways for citizenship that does not disadvantage people who have been in line for a long time,” Meadows said. But for the GOP moderates who are on the verge of forcing a vote, that special pathway is a key component of any immigration bill ― and that makes a compromise difficult. There are plenty of Republicans who are willing to compromise. Republican Study Committee Chairman Mark Walker (R-N.C.) told HuffPost on Wednesday that even though he opposes a special pathway to legal permanent residence, he was open to discussion on the issue if the other priorities like a wall were satisfied. “But if you’re coming to me with a special pathway, you gotta have these other categories before I’m willing to negotiate,” Walker said. 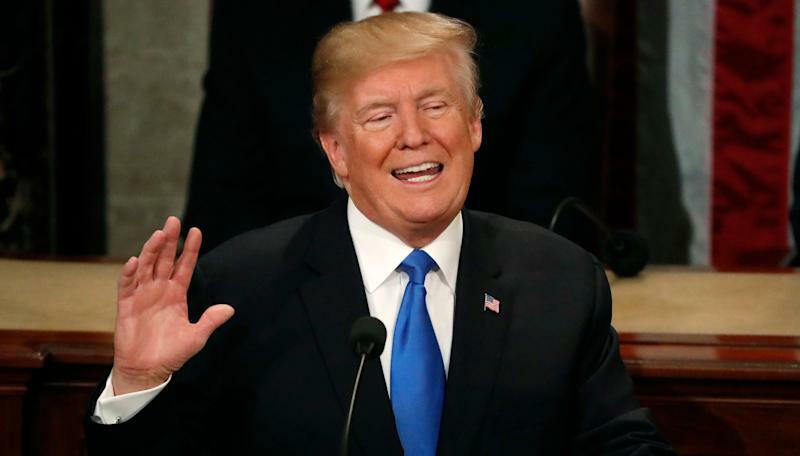 President Donald Trump delivers his State of the Union address in January. He used the speech to lay out the "four pillars" of any immigration deal he'd be willing to sign. Unfortunately for Republicans, there are a critical number of GOP lawmakers who aren’t willing to negotiate on that topic. For the moderates who want to address immigration, a pathway has to be part of the discussion. If it’s not, they might as well force a vote with Democrats through the discharge petition, score the political points associated with posturing on the issue, and wait for the dynamics of Congress to change ― perhaps for Democrats to take the majority ― before lawmakers actually find a solution. And for the immigration hard-liners, like Rep. Steve King (R-Iowa), there’s no compromise to be had. King told reporters Wednesday that he wanted to avoid all votes on any immigration bill. For those immigration opponents, it’s better to have a couple dozen Republicans side with Democrats than have 218 Republicans find consensus on an immigration measure, even if it is more GOP-friendly. Hard-liners don’t see the Senate taking up any immigration legislation that is the result of a discharge petition, and they don’t think Trump would sign such a bill. But while those far-right lawmakers look to blow up a compromise, there are some Republicans who believe they could potentially come up with a bill that would win broad support from Republicans and Democrats ― or at least the support of enough Democrats to get it through the House. Rep. John Faso (R-N.Y.), who has signed the discharge petition, told HuffPost Wednesday that he believes any bill on immigration will have to be bipartisan. “Some Republicans won’t vote for anything because some of the talking heads on the right will call it amnesty, and some Democrats won’t vote for anything because they want no border security at all,” Faso said. Democrats have so far shown a willingness to give Republicans border security money, even a border wall, if it means a permanent solution for DACA recipients. But Faso’s own sweet spot, he said, would likely be an immigration bill that meets Trump’s four pillars and wins the support of 60-80 Democrats. That level of support seems unrealistic, given the hold that House Democratic leaders seem to have on their caucus. Perhaps a few, maybe even a dozen, Democrats would defect on an immigration proposal, but Democrats largely seem intent on voting as a bloc. With that in mind, the most likely scenario is still one where almost all Democrats join about 25 or 26 Republicans in signing the discharge petition and forcing a vote. GOP leaders have so far been able to keep enough Republicans off the petition, partly with the promise that they’re working on a solution and that lawmakers should wait for this special conference meeting on Thursday where Republicans will discuss the topic. But time may finally be up. Rep. Chris Collins (R-N.Y.), one of Trump’s staunchest supporters in Congress, has also signed the discharge petition. He told HuffPost on Wednesday that there was “a plethora” of Republicans ready to sign the petition if leaders couldn’t find consensus on a bill by Thursday. “We got the names,” he said.